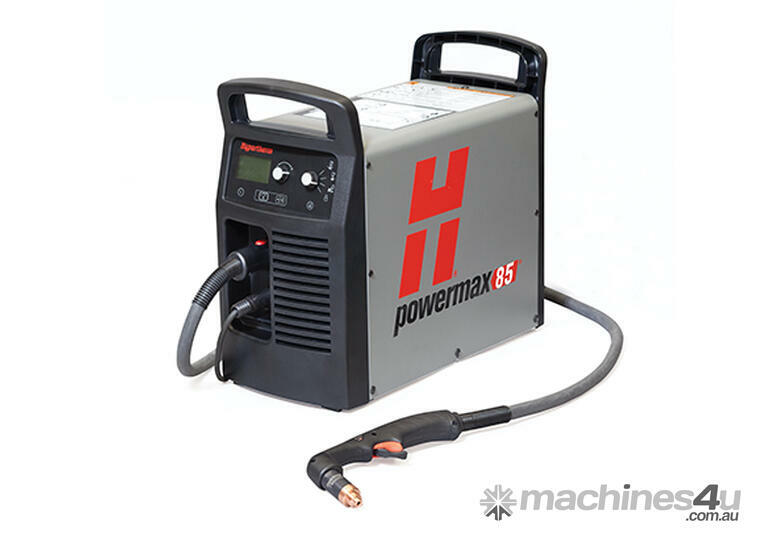 The Powermax85 combines the latest technological innovations and seven Duramax™ series torch options with 85 amps of cutting power to make it the premier 1" air plasma system for handheld or mechanized cutting and gouging. • Finish jobs faster with cut speeds two and a half times greater than oxyfuel on 12 mm mild steel. • Spend less time on grinding and edge preparation due to superior cut and gouge quality. • No need to change the air pressure. Smart Sense™ technology ensures that it is always correctly set. • Drag cut at full output with a patented shield that reduces dross buildup for smoother cutting. • Tackle different jobs with multiple, easy-to-use torch styles. • Reduce costs with long consumable life and more uptime. 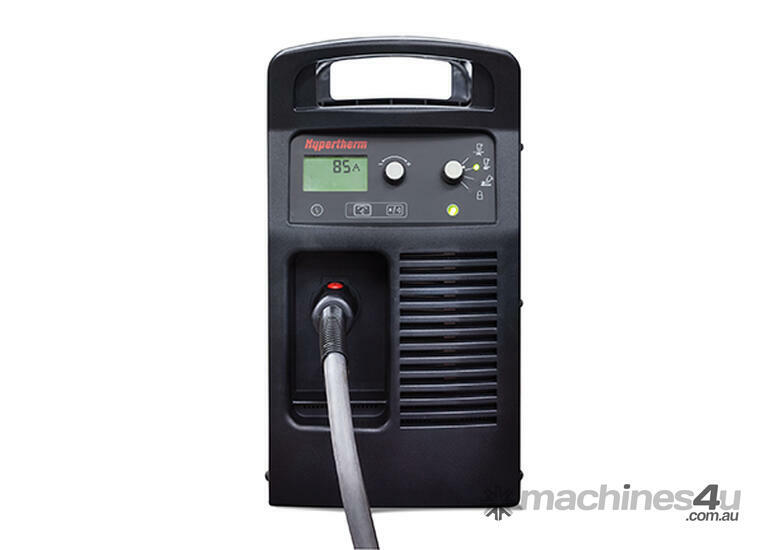 • High power efficiency lowers energy consumption. • Duramax™ torches are designed for high-impact and heat resistance. • SpringStart™ technology ensures consistent starting and a more reliable torch. 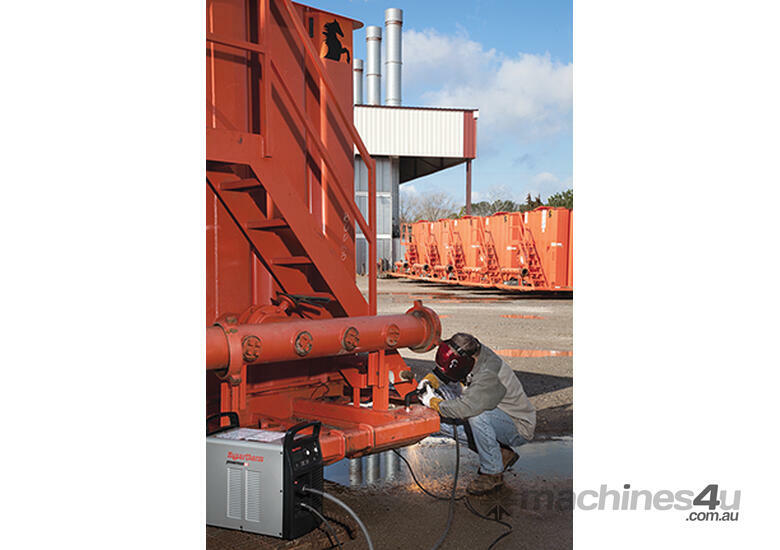 • Low maintenance for maximum uptime.